Photo by Hexagon Metrology Services Ltd.
Hexagon’s Manufacturing Intelligence division announced a new release of its HxGN SMART Quality online quality data and measurement resource management software, the enterprise IT solution designed to help manufacturers utilise aggregated quality data to gain actionable intelligence and insight for process optimisation. Providing a single platform for managing product quality and measurement resources, HxGN SMART Quality homogenises data from disparate systems across multiple locations to offer a company-wide view of quality. The latest version adds new capabilities to help manufacturers improve equipment effectiveness, assess manufacturing process capability, and handle documents and workflows efficiently. 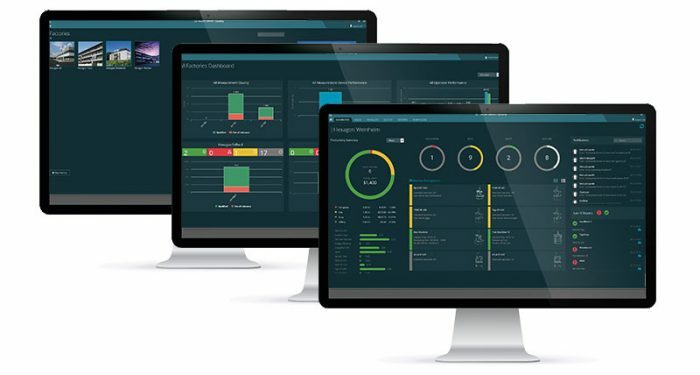 The new release of HxGN SMART Quality features OEE-like functionality for all machines connected to HxGN SMART Quality so that manufacturers can assess and compare Overall Equipment Effectiveness using a standard metric. Offering insight into both availability and performance, it supports root cause analysis for investigating anomalies on an individual piece of equipment in line with total productive maintenance principles. Improvements to the software’s document- and workflow-management toolset enable manufacturers to build robust processes for measurement and minimise the risk of common operational errors. The user interface has also been enhanced with an individually-configurable dashboard, while user-friendly functionality such as the ability to display part-mounting instructions within INSPECT helps to simplify shop-floor operations. HxGN SMART Quality’s statistical process control capabilities are boosted with the addition of Q-DAS Monitoring, which enables near real-time visualisation of measurement and process data. The software’s connectivity credentials are enhanced by the ability to directly interface with Heidenhain CNC controllers, offering new potential for data exchange with production equipment. The latest release of HxGN SMART Quality is available worldwide. Visitors to HxGN LIVE, Hexagon’s premier cross-industry technology conference, could see the new version featured in the Tech Highlights programme. More information is available via local Hexagon commercial operations and dealers. For more information, please visit http://hexagonmi.com.